of Great Britain and Northern Ireland. H.R.H. The Prince Philip, Duke of Edinburgh. H.R.H. 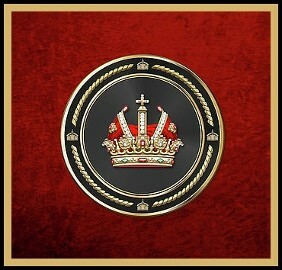 The Prince William, Duke of Cambridge. H.R.H. The Prince George of Cambridge. H.R.H. The Prince Henry of Wales. H.R.H. The Prince Andrew, Duke of York. H.R.H. Princess Beatrice of York. H.R.H. Princess Eugenie of York. H.R.H. The Prince Edward, Earl of Wessex. H.R.H. Prince James of Wessex, Viscount Severn . H.R.H. Princess Louise of Wessex. H.R.H. The Princess Anne, Princess Royal. H.R.H. Prince Richard, 2nd Duke of Gloucester. H.R.H. Prince Edward, 2nd Duke of Kent. H.R.H. Prince Michael of Kent. H.R.H. Princess Alexandra of Kent. Baron / Freiherr Barclay . 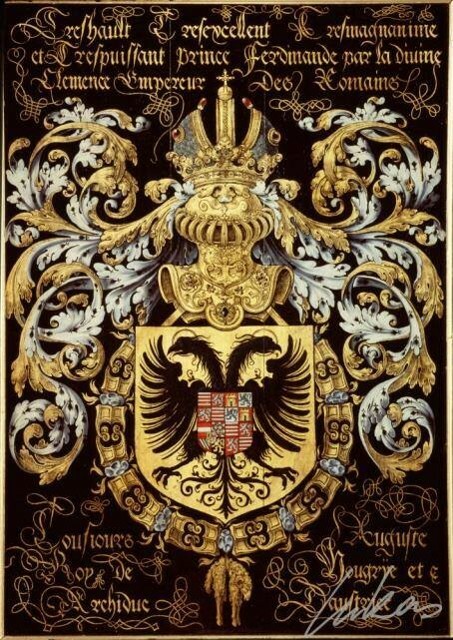 Part of the Patrimony of the Kingdom of Westphalia . H.E. Count / Graf Orlando Ivan Benendict . 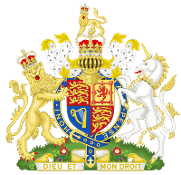 by Imperial Letters Patent of the 29th of December in the year 1732. H.Ill.H. Count / Graf Jasper James Mellowes Bentinck und Waldeck Limpurg . H.E. Count / Graf Simon John Harvey of Bristol . H.E. Baron / Freiherr Philip James Brown . H.E. Baron / Freiherr Rufus Henry Cooper . H.E. Count / Graf Maxwell Costello. H.E. Count / Graf Robert Clark. at Madrid. He followed James II to France at the Revolution. and the title is said to have been conferred by the Empress Maria Theresa. in Brussels and forced him to surrender. H.E. Count / Graf John de Salis. for himself and his descendants 4 April 1809.
a Duchess in the Grand Duchy of Tuscany. Princely Count of Oberstein , Count and Baron Ford . Count of the Holy Roman Empire, created 27th January, 1684.
of the Empire for distinguished services in the War against the Turks. H.E. Count / Graf Leslie. 10th Baron of Balquhain, 1606-1667. H.E. Count / Graf Douglas Lewins . Empire, Title created on the 5th April, 1744.
of Carnwath. He served with the Austrian Army in the Seven Years' War. H.E. Baron / Freiherr Jesse Francis Long, OT. Kt.HRE. H.E. Count / Graf Hunter Wood Lisle . 11th Duke of Marlborough, Prince / Furst of Mindleheim. H.E. Baron / Freiherr Christopher John Mercer . H.E. Baron / Freiherr Peter Brian Manthey, OT. Duke and Marquis of Massa and Carrara. H.E. Count / Graf Rumford . Count Rumford invented the Rumford fireplace. Count / Graf Shirley . Baron / Freiherr Boyd Spencer. Horace St. Paul, Count of the Holy Roman Empire. War. He was in the Austrian Army for 14 years. H.E. Count / Graf Anthony John Weymouth O.T. 1791 by the Emperor Leopold II under Imperial patent. H.E. Count / Graf Robert York . Count / Graf and Baron / Freiherr York .